We mourn the loss of David High, Aldersgate’s director of strategic property services. David was at the heart of the Aldersgate family for the past 18 years. David was beloved by the residents and staff of Aldersgate. His warm and generous spirit, his infectious smile, gregarious nature and quick wit were just a few of his endearing qualities. Beyond the Aldersgate community, David was held in the highest regard by so many he helped and served. David was a man of exceptional vision who led with his heart and soul, always with compassion and integrity. 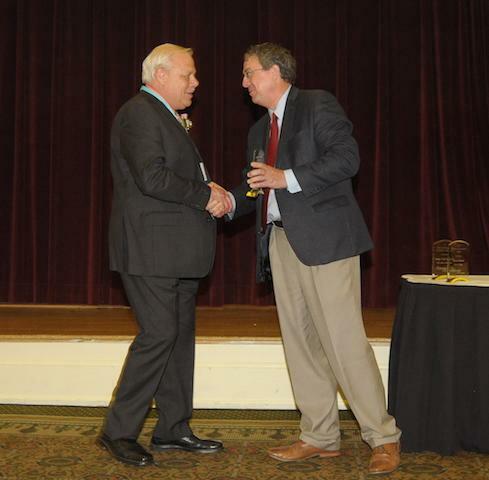 David was a trusted and loved friend of LeadingAge North Carolina and was the 2017 recipient of the LeadingAge North Carolina Excellence in Leadership award. We will miss him. The Member Update is published twice a month. If this issue was forwarded to you by a colleague and you would like to receive it directly, please contact Jennifer Gill at 919-571-8333. Please click on the section you would like to view. Remove the Governor's power to fill judicial vacancies. The North Carolina Center for Nonprofits has prepared a guide with answers to frequently asked questions about what types of ballot measure activity are permissible for 501(c)(3) nonprofits, pitfalls for nonprofits to avoid, and filing requirements for organizations engaging in lobbying around constitutional amendments. The U.S. Census Bureau is now taking comments from the public on the process it plans to follow to count every person in the country, specifically looking for "ways to enhance the quality, utility, and clarity of the information to be collected" and "ways to minimize the burden of the collection of information on respondents...." The public comment period closes August 7. Legislation introduced in the United States Senate last month would expand the federal Public Service Loan Forgiveness (PSLF) program and "encourage more students to enter public service professions." The Help Encourage a Lifetime of Public Service Act (HELPS Act), S. 3124, would waive interest accrual under PSLF and direct the U.S. Department of Education to streamline the employment certification process. If enacted, the expansion would provide relief for all qualified applicants across the country. It is essential to plan early for the supports and services needed as you age. Summertime is a great opportunity to begin these care discussions while spending time with family. It’s important to establish older relatives' care preferences, concerns, and deal breakers so families feel prepared for the future. Encourage millennials in your social networks to initiate the conversation. Share resources from LeadingAge national and be sure to post to social media including #CarryTheConvo and @LeadingAge in your posts. Please contact Jennifer Gill in our office at 919-571-8333 with any questions. Why do some people voluntarily end their employment with member communities? Click here to download an Excel spreadsheet with responses to this member question from your colleagues around the state. Thanks to everyone who helps sustain this service by taking time to respond! Clinicians at your community may find this checklist of items helpful when working with residents. The list is designed to prepare older adults for hospital visits and is endorsed by a physician consultant for the Centers for Disease Control. Please click here for North Carolina-specific information about advance care planning, which is mentioned in the article. At some point social workers or other staff at your community may have concern about a resident's substance use. In this article, a mental health counselor provides support and interventions that are sensitive to older adults. Beginning in 2030, immigration is projected to overtake natural increase (the excess of births over deaths) as the primary driver of population growth for the country. These, and other facts from the U.S. Census Bureau, may be helpful as you prepare reports for your board and other constituents. Plan to attend next month! Reserve your spot for next month!! Three states - one place! Come network and learn with members from LeadingAge NC, VA, and MD! We have a great day planned with plenty of time to connect and share with peers, including a networking dinner the evening before the symposium. As digital marketing grows in importance for senior living communities, marketers are discovering that one approach does not fit all types of services at a CCRC/LPC. Learn to use Facebook and engage key audiences by telling your community's most interesting stories. When done strategically, Facebook is a cost effective way to market your CCRC/LPC and to shape your community's public image. It’s very clear that senior living is experiencing a shift in consumer preferences, and research shows that Baby Boomers present very different characteristics from previous older adult generations. A panel comprised of three member communities will discuss their education/community involvement and share best practices. 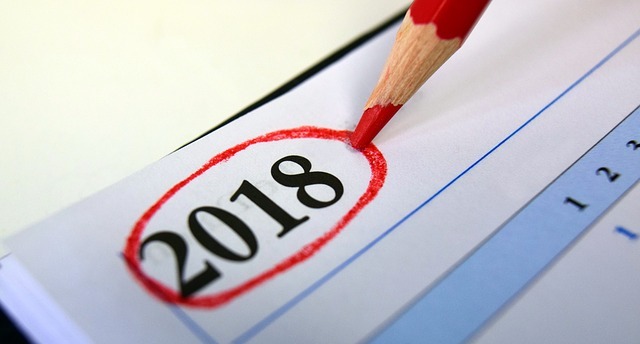 Please click here to view and print LeadingAge North Carolina's 2018 Event and Education Calendar. Get inspired and refreshed to stay on top of current trends. We look forward to seeing you! The NC Partnership for Compassionate Care provides tools for the public to talk about their wishes with family, friends and health care providers, and to execute written advance directives (Health Care Power of Attorney and living will) in accordance with North Carolina state laws. For a list of Advance Care Planning Workshops across North Carolina this month, please click here. This seminar is for development professionals, executive directors or gift officers engaged in non-profit settings in North Carolina that would like to raise more money by beginning or running a planned giving program in a small shop. You will learn the basics on how to get started along with information on the three simple planned gifts that make up 85% of all planned gifts. There will be a basic overview of charitable gift annuities and other gift vehicles by the North Carolina Planned Giving Council. The program is eligible for 3 hours of CFRE credit. Board members of LeadingAge North Carolina are leaders among our membership and volunteers to the association who offer their time and expertise to enrich the field of aging services. This month we learn more about our new board chair, Lee Syria, President and CEO of United Church Homes and Services. Thank you for sharing, Lee! I started my involvement and work with LeadingAge NC in 2000 when I volunteered to serve on and subsequently chaired the Education Committee. Through this service, I learned the value of the peer networking, resources and learning that LeadingAge NC offers its members. I have always felt that the more I am involved, the more value I receive. 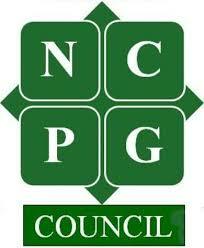 LeadingAge NC has many of the best providers in our field as members. Our mission is meaningful to me because it is the foundation that connects all members in how we work together to expand the possibilities for aging. Other than find a cure for Alzheimer’s, then I would say find a solution for the workforce shortage of quality direct care givers that we are facing. Definitely a direct or front line team member as a CNA, housekeeper or dining services employee in order to have more direct and less formal interaction with the residents. Many years ago, our organization scheduled a few days where our leadership at the home (corporate) office worked alongside and job shadowed various positions within our community. I still remember ending the day with blisters from the mopping in housekeeping. It was a great experience and raised my level of respect for the role that each person plays in order to deliver great service. Spending time with my dogs (Oscar and Juliette) relaxes me because they are always happy to see me no matter what kind of day I’ve had. Also, I am fortunate to live in a walkable community with a nature preserve, so spending time outdoors is another way for me to relax. Many times when the weather is good, I do not drive my car at all on the weekends. I also cherish any time that I can spend in my favorite role as Aunt Lee to my two nieces! A recent report from CBRE focuses on CCRCs/LPCs, including a review of characteristics, key trends shaping demand, property market performance and investment activity and pricing. The report concludes that over the next decade, the senior housing industry is well-positioned for investment opportunity and, more broadly, for increased significance within the commercial real estate industry. Rising demand, growing inventory and evolving product mix will create attractive opportunities and investment returns for owners, buyers and operators of seniors housing product. 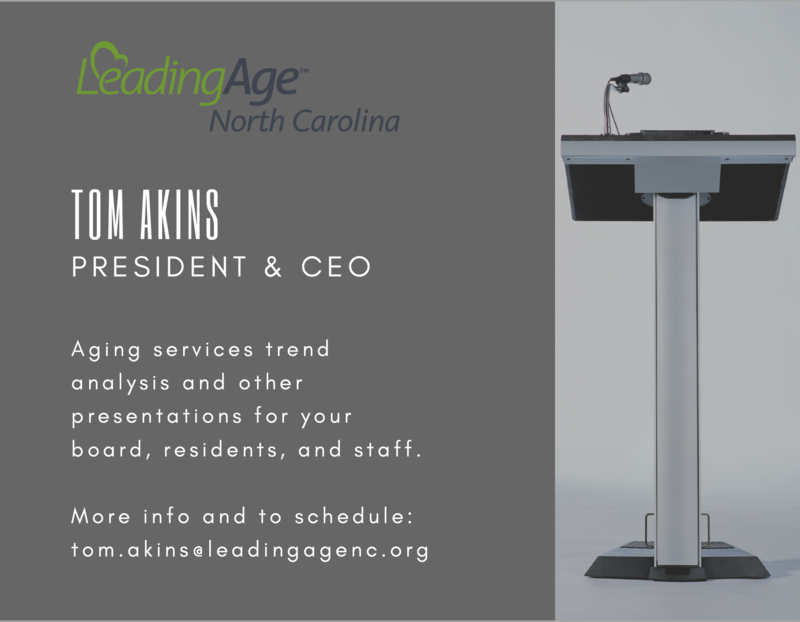 Enhance your next board, resident, or staff meeting with a presentation by Tom Akins of LeadingAge North Carolina. As a free member service, Tom is available to offer trend analysis presentations and other topics for your constituents. Contact Tom today to discuss your needs. If you have ever heard Tom speak, you know his enthusiasm for the field is infectious. Please call Jennifer in our office at 919-571-8333 for more information. QAPI tags will be here in November 2019, which is just around the corner. Before that time, maybe it makes sense to get feedback on your community's program. Alliant Quality is still looking for skilled nursing facilities to participate in a survey whose goal is to help improve quality of care in North Carolina. Participation in this survey is not mandated by CMS for regulatory compliance nor does its completion ensure regulatory compliance. Use this survey as a tool as you begin your work on QAPI and then for annual or semiannual evaluation of your organization's progress with QAPI. The survey should be completed with input from the entire QAPI team and organizational leadership. It is meant to be an honest reflection of your progress with QAPI. The results of the assessment will direct you to areas you need to work on in order to establish QAPI in your organization. So please take a moment to participate in this important project. If you have any questions, please contact Melody Brown at Alliant Quality at 229-624-2051. Jon Renegar of Asheville as a Licensed Nursing Home Administrator of a nonprofit facility. Renegar has served as a licensed nursing home administrator for 13 years. Currently, he is the Director of Operations at Carolina Village in Hendersonville, a LeadingAge North Carolina member. Amy Huntley of Garner as a Licensed Nursing Home Administrator. Huntley is the Vice President of Operations at Liberty Healthcare and Rehabilitation Services, and previously served as the Regional Director of Operations for the West Region. Vanessa Burton of Lumberton as a Public Member. Burton serves as an Assistant District Attorney for Robeson County. She previously worked as a Corporate Trust Officer at Wachovia Bank and Trust. Ruth Little of Ayden as a Public Member. Little is the Vice Chair & Assistant Professor at the Department of Public Health at East Carolina’s Brody School of Medicine. Little also served as the Public Health Director for the Jones County Health Department. Curtis Grogan of Cary as a Public Member. 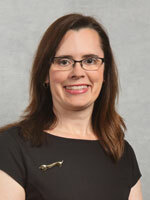 Grogan has served as the Risk Management Director for Wake County Public Schools and also in the North Carolina Department of Public Instruction as Section Chief/Risk Manager. Grogan has also worked with several large commercial insurance companies. LeadingAge North Carolina members can now buy from Sysco and US Foods through the Value First group purchasing organization. Value First understands that food and dining expenses are often second only to salaries—which is why we encourage members to have cost studies done in this very important spend category. A cost study is a comparison of what you are currently paying, retail or through a different GPO, to Value First GPO pricing. This is a free membership benefit. Food cost studies include line-item price comparisons, drop-size discounts, rebates, and other data to let members see if there are potential savings by purchasing through Value First. If you'd like to request a food cost study for your community, simply click this link to submit your request. For more details contact Vanessa Ceasar at 404-421-3956. Value First, an affiliate of Vizient/Provista, is a group purchasing organization owned by LeadingAge national and twenty-five state associations, including LeadingAge North Carolina. Value First is designed to leverage the buying power of thousands of senior service providers across the country to get the best pricing on a comprehensive array of products and services. This is your GPO.